NOTES: Multimedia kit with resin parts. In the early 1950s, it was quite easy for the major victors from WWII to find a ready export market for their aircraft. Planes were relatively inexpensive and with the leaps in technology, what was obsolescent in one part of the world, wasn't in another. The result is that often times, new build and reworked aircraft found easy sales abroad. Several countries license built aircraft. This was true of the Japanese and the F-86, the Czechs and the MiG-15 and the Swiss with the Vampire and Hunter. The Vampire was particularly successful as it was a relatively simple jet with few vices and it was cheap to maintain. Good care resulted in the wooden construction holding up well in all sorts of different climates, many Vampires soldiering on into the 1970s. 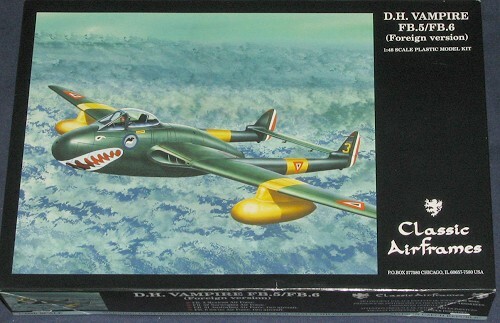 This is the second boxing of Classic Airframe's 1/48 Vampires. This one will allow the builder to do one of six aircraft from four different countries. If you recall the hooplah about the initial issue, there was much bemoaning the size of the intakes, the shape of the canopy and the section of the airframe right up against the fuselage. 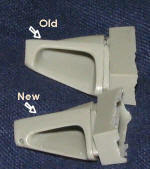 Taking them one at a time, the intakes were purported to be cut back too far on the bottom and at the wrong angle. Must have been true as the new intakes are smaller, at a different angle, and have a tiny intake on the outer edge. The canopy shape seems to be unchanged, but really, I didn't see anything wrong with the old one other than I couldn't build it closed. Since we tend to like our canopies open to show off interiors, I don't see this as a problem. 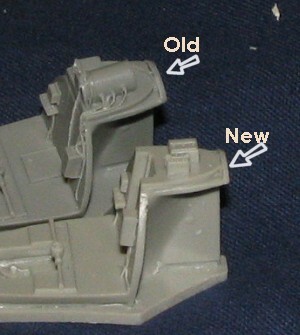 The final complaint was that there should be a 'step' between the inside of the intake and the side of the fuselage. Ok, I don't see anything really different in this area when compared to the previous kit. Take a look at the previous review to see if this is a problem for you. If so, then build up the area with card stock to take care of it. I'm not sure just how CA could fix this aside from altering the mold, not an inexpensive operation, and it may well not be economically viable. 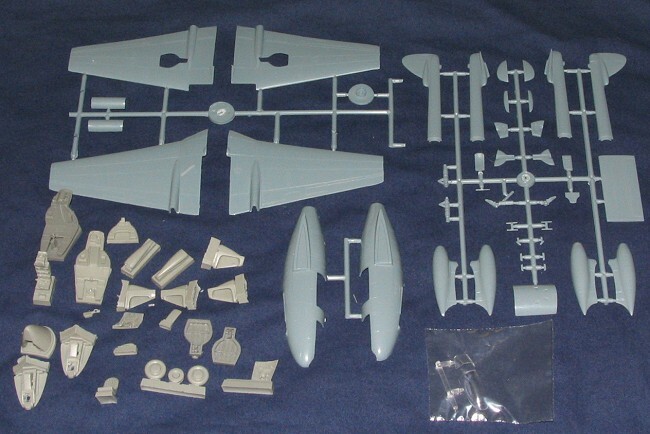 The biggest difference between this and the previous kit is the inclusion of parts for the Swiss Mk 6. The Swiss added several things to their Vampires as they did life extension programs. One was to include an ejection seat, and that is included. There were also come changes in the area behind the seat and a new interior has been included to take those into account. But the biggie is a new nose. This was done to house additional avionics as the Vampire isn't exactly brimming with free space. In addition to the new resin nose, a new forward nose gear door is included. The other major variant is the Australian Mk. 31. This aircraft had a different engine that needed additional cooling in the form of large intakes on the lower side of the fuselage. These are provided as additional resin parts. It also includes a 'bump' on the nose for the new gyro that was installed on this aircraft. Though the markings guide says the bits are not included, they are. Also included is a new lower nose section. The only difference I can see is that the upper well bay is a tad bit longer on one than the other. This may well be for the Swiss version. The rest of the kit is identical in all ways from the previous issue. As are the instructions. What has been included is an addendum sheet that lists all the new parts and the differences between the versions in terms of what parts go with what kits. Means you'll have to make a decision early as to which you are going to model. I did mention that there are six markings options with this kit. First is an FB.3 of the Mexican Air Force as shown on the cover. This one is painted in overall dark green with yellow bands and red vertical fins. Next is an FB.52 from the Norwegian Air Force in RAF Dark Green over PRU Blue with the wing tips and 'bullets' in white. The Australian FB.31s are in overall aluminum lacquer or in overall Post Office Red. Both of these are from the 1959 time frame and the red one will certainly make for a colorful plane. Finally, two Swiss Air Force versions. One is in overall aluminum lacquer with day-glo bands on the booms and a huge shark mouth. The other is a target tug with huge stripes in black and day-glo over a base aluminum lacquer scheme. 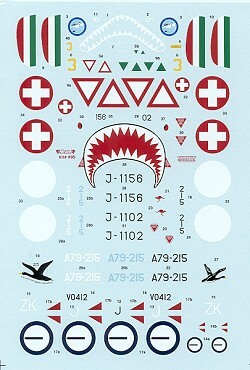 Decals are superbly printed by Microscale and include a stencil/RAF roundel sheet that isn't shown. I know that I enjoyed building the previous CA Vampire and I know that I'll like building this one as well. These kits provide a lot of pleasure in that you do have to use a bit of skill in completing them, but the end results are such that you will be pleased with them. CA needs to be encouraged to continue with their fine releases as you won't find Tamiya or Revell producing kits like this.